Brendan received his PhD from the University of Newcastle, which investigated the effects of hypoxia on responses to resistance training. His main research areas focus on exercise with systemic hypoxia (altitude) and localised hypoxia (blood flow restriction), as well as optimising methods to monitor athletic training. Brendan is also a Level 2 Strength and Conditioning Coach with the ASCA, and has consulted as a sports scientist with elite athletes and officials from a range of sports (rugby league, Australian rules football, soccer, elite powerlifting). 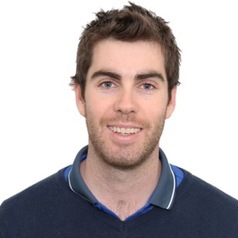 Brendan is currently a Senior Lecturer (Strength and Conditioning) at Murdoch University, where he teaches and coordinates units on sports science, functional human anatomy, and strength training.